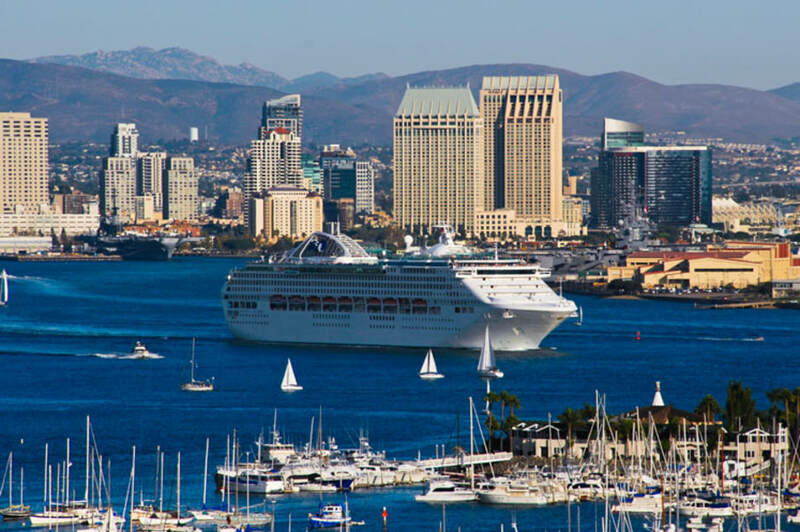 San Diego Shore Excursions for Cruise Ship Guests! Known As "America's Finest City", San Diego offers a full selection of things to do and see for visitors to California's second largest city. For over 35 years, Five Star Tours has provided world-class sightseeing tours and transportation. We highlight the best of San Diego's natural beauty, scenic beaches and family friendly attractions. Let us be your host as you visit our thriving port city. Purchase tickets online or at our ticket depots. Our ticket mobile booth is just a short walking distance from the cruise ship terminal. Purchase your ticket and board our shuttle, easy! Remember, cruising guests are responsible for returning to the ship on time before departure. Adults must have both a ship’s card (usually doubles as your room key) and a valid photo identification (passport, driver’s license, etc) to board our shuttles. Purchase tickets aboard your cruise ship, either online prior to departure or through the shore excursions desk onboard the ship.